Pattern condition: Uncut, factory folded and complete with instructions. The pattern is printed on paper with colored cutting lines. This pattern is copied from an extant vest dated late 1840's - early 1850's in the author's collection. 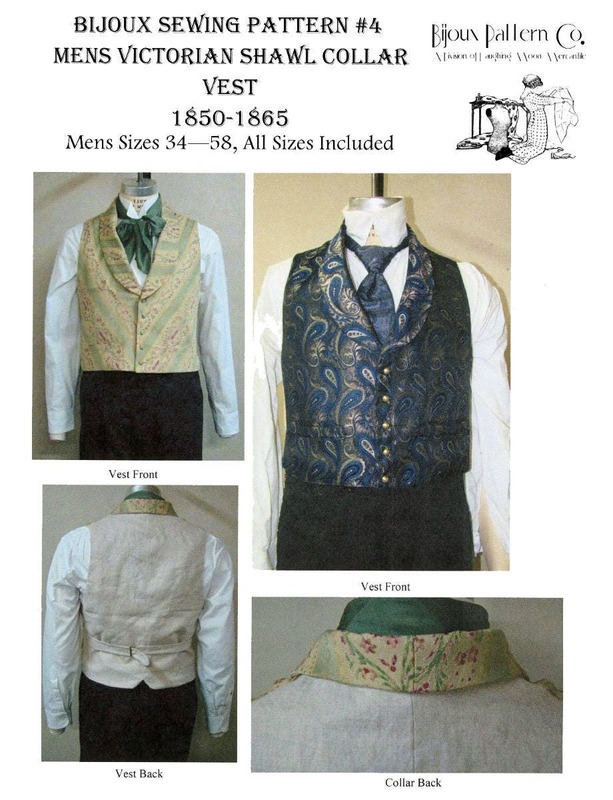 It is typical of mid-19th century vests that have a folding collar all the way around the neck. It has a shawl collar and is single breasted. It has two welt pockets and chest padding.